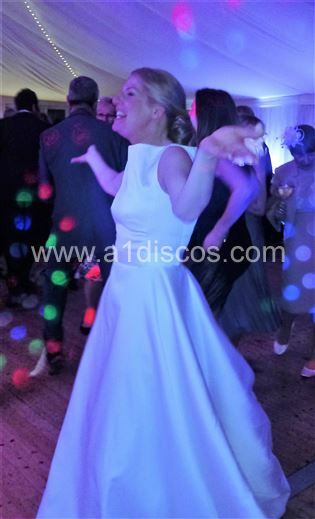 A1 Discos Ltd. work throughout Kent and have long been regarded “The Wedding Disco Specialists” in Kent, when it comes to the all-important choice of Wedding DJ Entertainment to round off your Big Day. 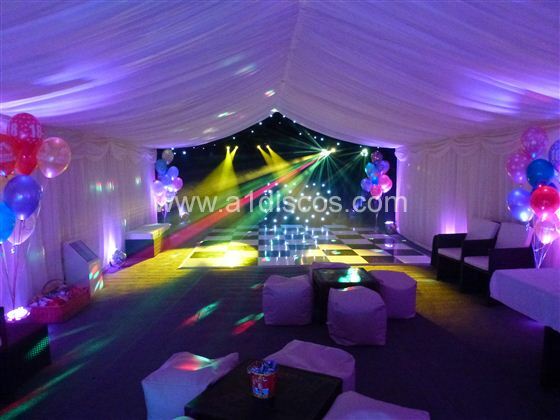 The Peace of Mind and security of dealing with a long established, ISO9001 certified company, with experience of having performed at many wedding venues throughout Kent. We had Robbie at our wedding last month and he was amazing! 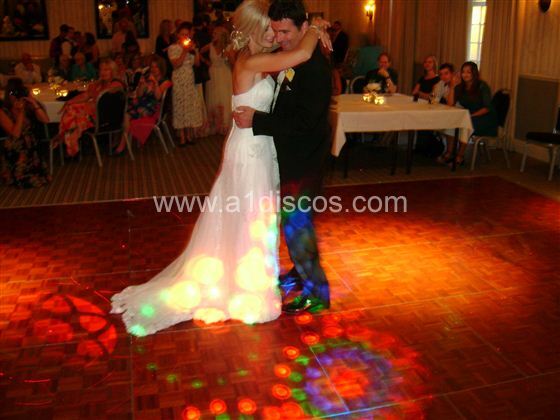 Everyone has said how wonderful his music arrangements were and as Bride I don't think I left the dance floor all night! He knew exactly what to play to get family members up, keep friends going all night and everyone singing. Robbie was the perfect DJ to make our wedding party unforgettable! 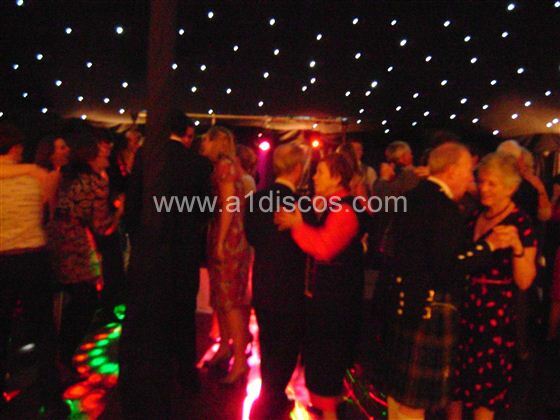 Having found A1 discos online and never heard of them before I must admit I was a bit dubious as to what to expect. However, the whole booking process was amazing. 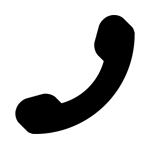 The lady whom I dealt with was brilliant and answered all of my queries and questions without any hesitation. As for the Dj and discos. 100% bloody brilliant!!. Our DJ was Scott and he was without a doubt, the best DJ I could have ever asked for. 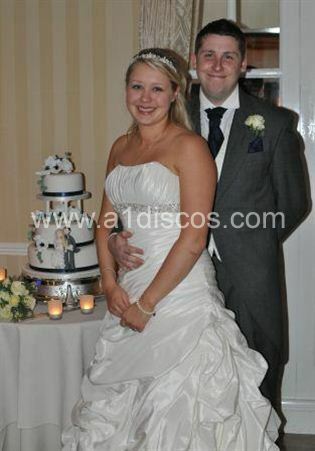 He arrived early (and nearly got kicked out by the brides and grooms men!) but he set up and even started a bit earlier than I'd booked. He played all the songs we requested and stuck to our, very long, "do not play" list. He was fun, interactive and just awesome. I wish we could have another wedding just so we could request Scott. Amazing service, amazing DJ - exactly what we wanted. I can't give Scott or A1 discos enough praise!!! What an amazing DJ! We could tell from the moment we met Tim he was so enthusiastic about his job, nothing was any trouble and he knew exactly what to do. He got everyone dancing and just brilliant music that he played! I could not recommend and thank Tim enough a brilliant guy and amazing DJ. Thank you!! Tim was absolutely fantastic. Brilliant dj! I heard nothing but good feedback from our guests and it defiantly made our day much more special. I would recommend him any day. He was bubbly and energetic and new the vibe the guests wanted. Brilliant! Situated in the heart of the Kent countryside this beautiful 18th century country house hotel with delightful grounds is the ideal venue for your special day. 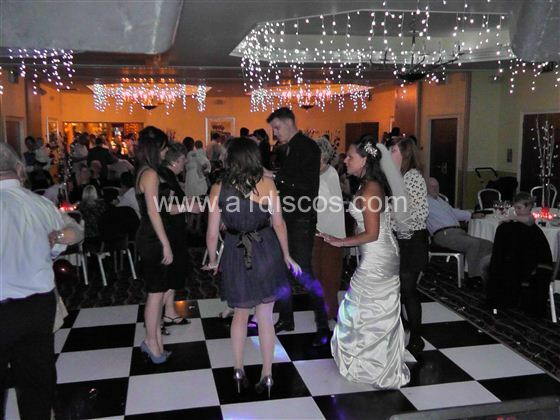 The hotel has recently been refurbished to the highest standard and is a superb venue for any wedding. 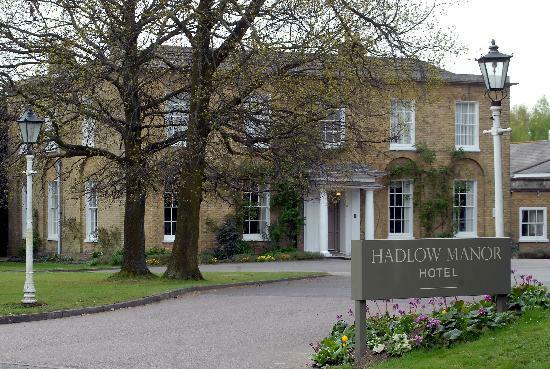 Hadlow Manor Hotel is the perfect traditional wedding venue in Kent. 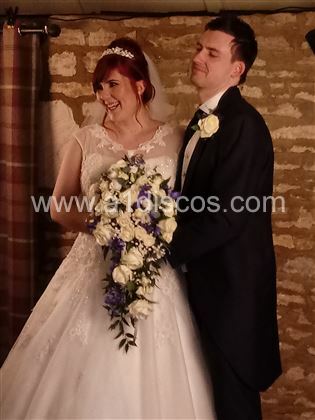 The elegant house now looks grander than it has done for many years and our beautiful grounds will ensure stunning backdrops for your photos. Your guests will enjoy the gardens and the country views from our delightful relaxed patios and we also can provide a marquee for the prettiest of ceremonies.